They finally got most of the videos up from the TEDxDU conference. The pictures are there, too. What is it with the word "hacker"? When I think of the word hack, hacking or hacked, I think of something that has been broken apart or changed well beyond traditional recognition. In terms of computing, the term hacker could be used "to express admiration for the work of a skilled software developer", but some people who work outside of the computer industry might not trust a person if he or she was called a hacker. Thus, the term hacker can carry either a positive or a negative connotation, depending upon the context. In terms of the academic library, there are certainly many changes that are going on, and in some cases, librarians and other academic administrators are "hacking away" at the library system. In short, librarians are helping their academic libraries transform into vibrant information centers. They are also helping their patrons transform into knowledgeable and savvy information consumers. Looking at the entire higher educational system, there are a number of people who have written concerning the need for change. (These are just a couple of examples -- DIY U: Edupunks, Edupreneurs, and the Coming Transformation of Higher Education, Seth Godin, and Daniel Yankelovich.) 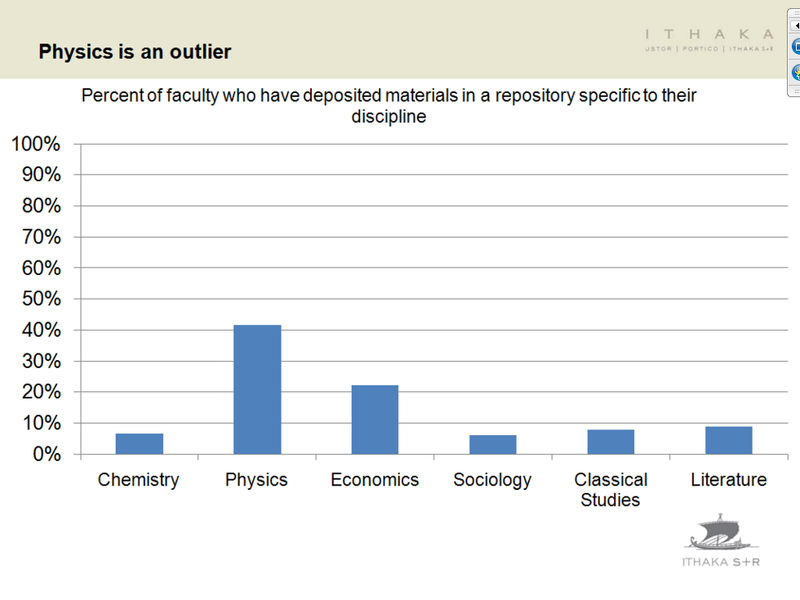 One of the reasons the academic library needs to change is economic. Inflation has been eating away at the amount available for books and journals, and when the university provides a flat or declining budget to the library, it makes the situation even worse. This has led to the serials crisis. 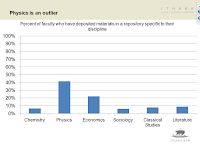 In response, many academic libraries have created departments or units within the library that work on scholarly communication and open access issues. Some of the best organizations are at Columbia, Illinois, Minnesota, and UC-Berkeley. 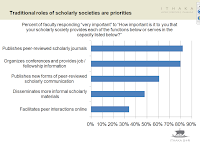 Librarians are communicating with their faculty and researchers to help them understand the issues that are affecting libraries and the scholarly communication system. 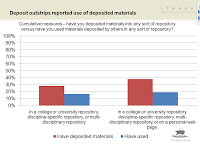 In addition to the units devoted to scholarly communication issues, librarians are creating institutional repositories so that faculty and others affiliated with the university can deposit digital copies of their scholarship. These are placed in computer systems and with staff who will maintain long term preservation of the research. It will also enhance access to the research in cases where the articles had been published in subscription-only journals. Once the article is in the repository, then the full-text can be found through Google, and many more people will have access to it. What is a library without a catalog? Library patrons need to use a catalog system to find what the local library has. Catalogs are more complex than what most patrons think. When a library has millions of items, hundreds of thousands of links, tens of thousands of journals, and many people are editing the system at the same time, it needs to be in a robust system. Over the years, academic libraries have paid vendors a lot of money to provide catalog software that can handle many dynamic needs. Recently however, librarians are creating and using more and more open source catalog systems such as Koha or Evergreen. With some of these systems, it may take more staff time for programming, but there is less or no cost to the library for the software itself. 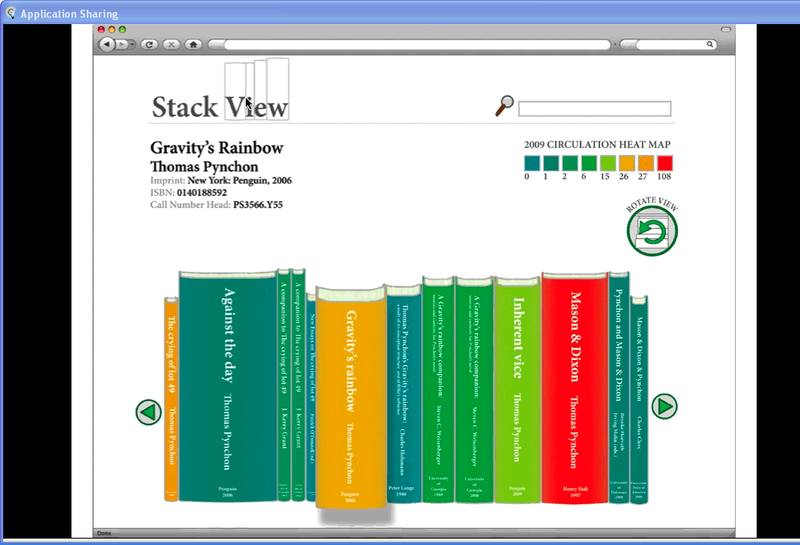 Librarians are also working on social catalog systems (social online public access catalog, or SOPAC). John Blyberg (See also http://www.blyberg.net) from the Darien library in Connecticut has implemented the most notable SOPAC to date. What is all this talk about catalogs and print books? Aren't libraries getting rid of all of their print books and only buying ebooks? After reading articles concerning places like Stanford or a school library in Massachusetts, one might get that feeling, but it really isn't so, quite yet. Most libraries are not treating print books vs. ebooks as an either/or option. We are getting both types of material. We may not get as many print books in the future, but I don't think print books will ever disappear. The same way that television did not put radio out of business, ebooks will not put print books out of business. It is just another delivery mechanism for information. Why do the students even bother going to the library? Can't they get everything they need from their dorm room? Well, students can get a lot of information from their dorm room, but the dorm is not the only place where students study individually or in groups, write papers, do research and socialize. They can also consult with reference librarians (in a variety of ways) to better understand how to use the library most effectively. Libraries have created computer labs where students can use a variety of software that they may not have on their laptop. Thinking of laptops, many students do not want to lug that 5-7 pound beast around. They would rather use the computers in the information commons. Another great example of a library hacker is Stacey Greenwell who manages The Hub at the University of Kentucky. You see, librarians really are hacking the system. 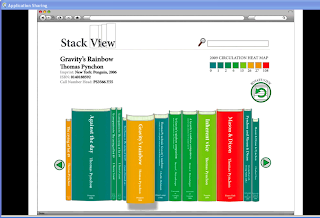 I like the idea of a Stack View program for virtual browsing and the circulation heat map of the other books on the virtual shelf. For the Palfrey presentation and the Ithaka webinar, you can see some screenshots I grabbed from the sessions. (The images are copyright of the ACRL, John Palfrey and Ithaka.) If you would like to see the whole presentation and all of the data, then you should watch the recorded webinars. One hour later, I attended the Ithaka discussion concerning Chapter 3 of their report, Faculty Survey 2009. They did a good job of delving into scholarly communication issues and how faculty think and feel about those issues. 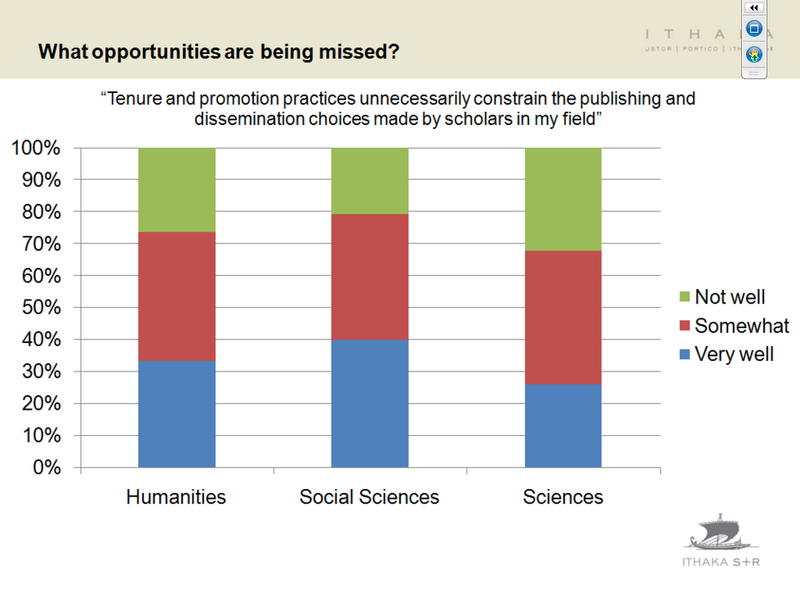 It was interesting to see how faculty in different disciplines viewed tenure and promotion practices. It was also interesting to see how people in different disciplines deposit to and use institutional repositories. 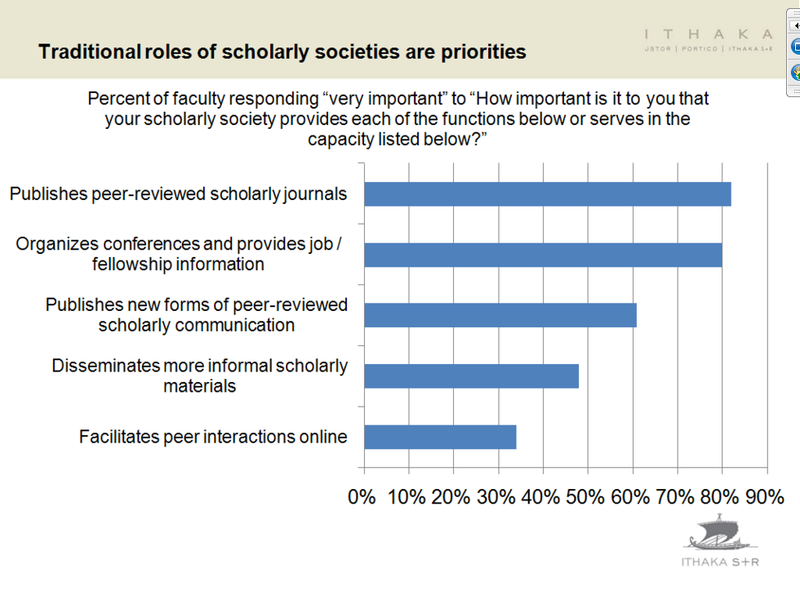 They also looked at how faculty view the importance of scholarly societies. 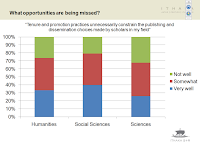 At the very end of the webinar, they mentioned the report that Dr. Diane Harley co-wrote, "Assessing the Future Landscape of Scholarly Communication: An Exploration of Faculty Values and Needs in Seven Disciplines".